We all know that Ye Rishta Kya Kehlata Hai, the longest running show and it is produced by Rajan Shahi. The makers of the show are now coming out with its spin-off that is titled Ye Risthey Hain Pyaar Ke, which will be launched tonight and it has Shaheer Sheikh and Rhea Sharma in the lead. 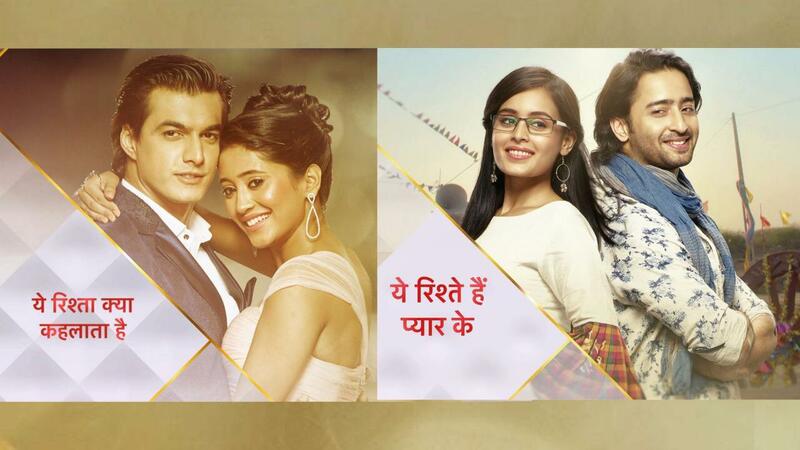 YRKKH’s lead pair Shivangi Joshi and Mohsin Khan would be present and welcome the new members into the DKP (Director’s Kut Production’s) family. So far the promos of the show are looking promosing. Shaheer Sheikh is absolutely impressive doing the rap in the promo. His expressions and body language would attract the viewers. Here are the three things that we absolutely loved in the promo. Mohsin Khan too, feels that the show will do extremely well. “The entire cast of Yeh Rishtey Hai Pyaar Ke looks very promising. I got the opportunity to work with Rhea Sharma and Kaveri Priyam and they have done a wonderful job. I am proud to be part of Rajan Shahi’s show,” he says. Shivangi was asked for advice from the YRHPK girls, and here is what she had to says. “Work hard, stay grounded, believe in yourself, have faith in yourself and the work you do.” Well! that’s useful advice Shivangi! So tonight surely will be a treat for the viewers and we wish the team of YRHPK all the best! Gets more idiotic by the day!!! !